It is copyright © Peter Cockelbergh and Jacket magazine 2010. See our [»»] Copyright notice. 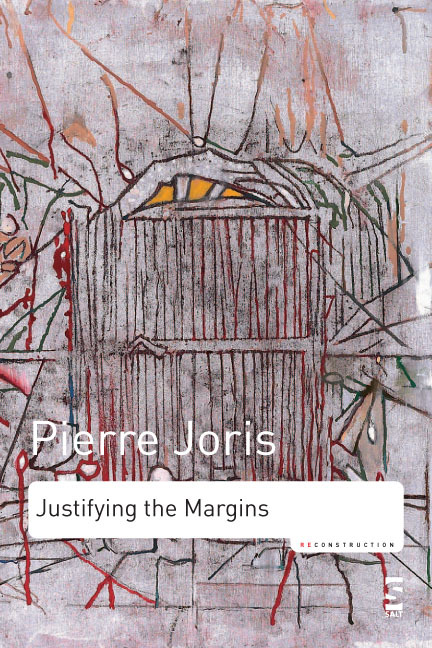 What follows is, perhaps, an atypical Jacket feature: it is not an author or her oeuvre that is featured, but the publication of a single book, Pierre Joris’s Justifying the Margins (SALT, fall 2009). So, why not have written a short, straightforward review instead? In a feature one can fully explore how Justifying the Margins is, so to speak, a long planned for further mawqif or stopover in Joris’s oeuvre. A stopover that not only supplements certain matters visited in A Nomad Poetics (2003), but one that also qualifies the latter by introducing new concepts, detours and zigzags. Drawing attention to this double movement of converging/diverging is important, I think, because A Nomad Poetics is in my opinion still too often being taken as a pars pro toto for “Joris’s poetics,” whereas both books are, rather, singular parts of the always multiple interweaving and expanding that mark his texts. The complex relation between these two essay books, their specific “travels/travails,” and their connection to Joris’s poetry and overall poetics serve as a first anchor of this feature, and are discussed in greater detail in its essay, ‘Marginalalia. On Pierre Joris Justifying’. Invariably asked in interviews about how he came to Paul Celan, about the impact of Celan’s poetry on his own writing and poetics, about Celan and translation, or his celebrated Celan translations, it occurred to me that Joris had actually written (or talked) through these and related matters with great care in an unpublished French lecture. In ‘An “E” for an “A”’ we can trace minutely how Joris travels down a Celan “line of flight” through his own oeuvre, rhizomatically reconnecting not only with passages from A Nomad Poetics and Justifying the Margins, but also with an earlier volume of poems, The Book of Luap Nalec (1982), and even his latest Celan translation, the upcoming ‘The Meridian. Final Version — Drafts — Materials’ (2010), of which excerpts can be found in this feature as well! Translating the introduction to Matières d’Angleterre (1984) was a pressing case of justifying a margin in Joris’s oeuvre itself. Due to publishing difficulties, this trailblazing anthology of new English poetry was literally turned into a ghost book. Because the introduction is, furthermore, an early instance of the title-concept of Joris’s new collection of essays, this text simply had to make its haunting apparition as ‘Made in England’. The double selection criterion (texts that expand Margins, and/or that are in need of “justifying”) comes to the fore very clearly in the poems presented here: the basic idea was to take Justifying the Margins as a reading “line of flight” through Joris’s poetry. The fact that Joris’s first “selected poems,” Breccia (1987), was never published/distributed in the US — Poasis (2001) thus being the second instalment of a book that is scattered over at least two continents prompted me to include sections of The Book of Luap Nalec and Hearth-Work (1977). The former interlaces with An “E” for an “A” and, for instance, with the entire third section of Justifying the Margins, whereas the latter is mentioned in a passage from “An Epic Without History” (Justifying, p. 137) involving Ronald Johnson, Jonathan Williams, Allen Fisher and Paige Mitchell (who did the beautiful design of Fire-Work, i.e. the volume in which Joris’s sequence appears literally alongside Fisher’s Fire Place). Excerpted in “The Seamlessly Nomadic Future of Collage,” Canto Diurno #4 “The Tang Extending from the Blade” has, however, been published as an e-book in the mean time (by Ahadada Books, at http://www.ahadadabooks.com/content/view/201/43/), so I opted for Canto Diurno #3 “Ode à/to Jack Kerouac” instead. Also included are two “halts” from Meditations on the Stations of Mansour Al-Hallaj (2006): “7. exaltation (tarab)” connects with Arabic songs and Adonis (Justifying, pp. 12, 142), and “16. witnessing (shuhud)” picks up Joris’s Celan writings, and translation overall. “The Sanctuary of Hands,” which runs across the Olson essay that brings Justifying the Margins to an end, also closes this feature. Pierre Joris has moved between the US, Great Britain, North Africa, France and Luxembourg for close to half a century. He has published over 40 books of poetry, essays and translations, most recently Canto Diurno #4: The Tang Extending from the Blade, an Ahadada ebook. 2010. In 2007 & 2008 he published Aljibar and Aljibar II (poems, a bilingual edition with French translation by Eric Sarner, Editions PHI, Luxembourg). Justifying the Margins: Essays 1990–2006 came out in 2009 from SALT in the UK. His 2007 publications are the CD Routes, not Roots (with Munir Beken, oud; Mike Bisio, bass; Ben Chadabe, percussion; & Mitch Elrod, guitar) issued by Ta’wil Productions and Meditations on the Stations of Mansour Al-Hallaj 1–21(Anchorite Press, Albany). Other translations include Paul Celan: Selections (University of California Press) and 4x1: Work by Tristan Tzara, Rainer Maria Rilke, Jean-Pierre Duprey & Habib Tengour translated by Pierre Joris from Inconundrum Press. 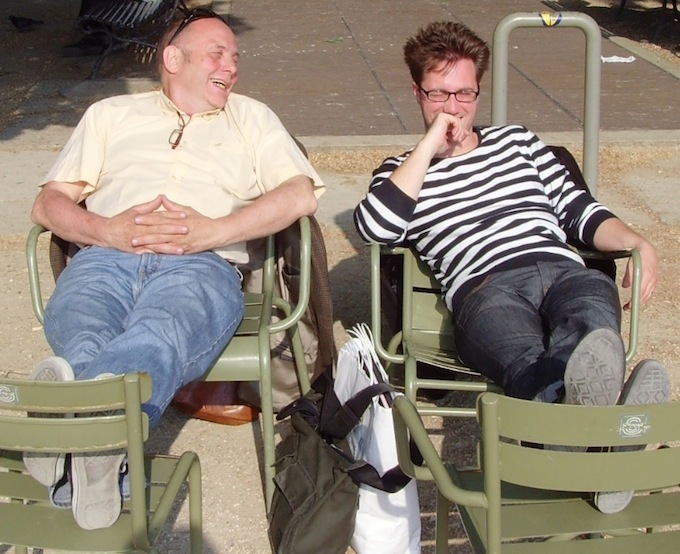 With Jerome Rothenberg he edited Poems for the Millennium, vol. 1 & 2: The University of California Book of Modern & Postmodern Poetry. Green Integer published 3 volumes of his Paul Celan translations: Breathturn, Threadsuns and Light-duress (which received the 2005 PEN Poetry Translation Award). He lives in Bay Ridge, Brooklyn with his wife, the performance artist Nicole Peyrafitte & teaches poetry & poetics at the State University of New York, Albany. Writer, scholar and translator, Peter Cockelbergh studied at the universities of Antwerp and Leuven (Belgium), at the EHESS in Paris, and was a doctoral research fellow at the Technische Universität Darmstadt (Germany). For a number of years, he has been reading, writing on and translating Pierre Joris’s poetry and essays (into Dutch, French & English), and has recently worked on the author’s papers and archives. He is currently finalizing his PhD (on Mallarmé, Pound and Lucebert), and is editing a collection of essays on Joris’s oeuvre, Pierre Joris — Cartographies of the In-Between, to be published late in 2011 by Literaria Pragensia Books at http://litteraria.ff.cuni.cz/books/joris.html.